NOTE: This article was provided by a member, about their experience of the 2014 Bay to Birdwood Run. Another article covering the club’s involvement is in the works and should be published soon. 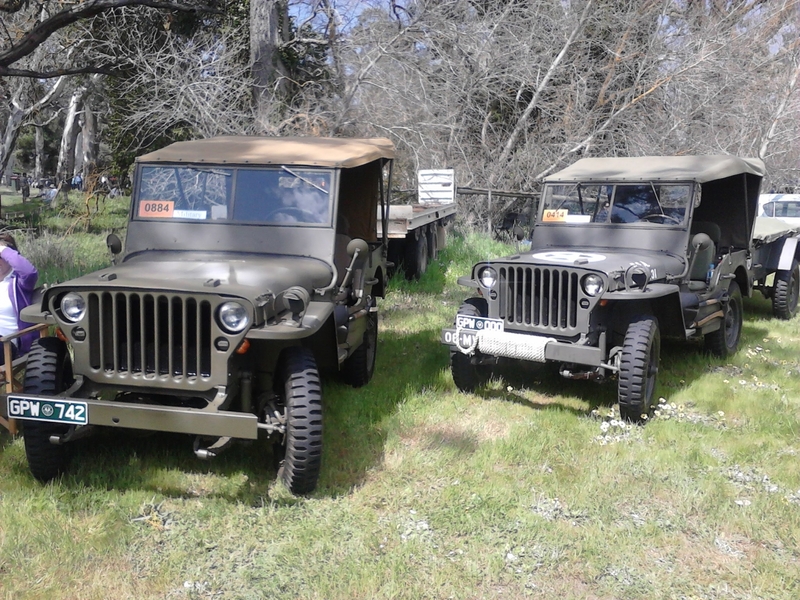 The script jeep (GPW 742) was up bright and early, ready to head down the hill to Glenelg for the start of its first Bay to Birdwood Run. Arriving at the bay, it was greeted by an array of classic cars and rare vehicles. Scanning around to find the platoon, it lined up in formation, waiting patiently for the start of the 61km journey to Birdwood. 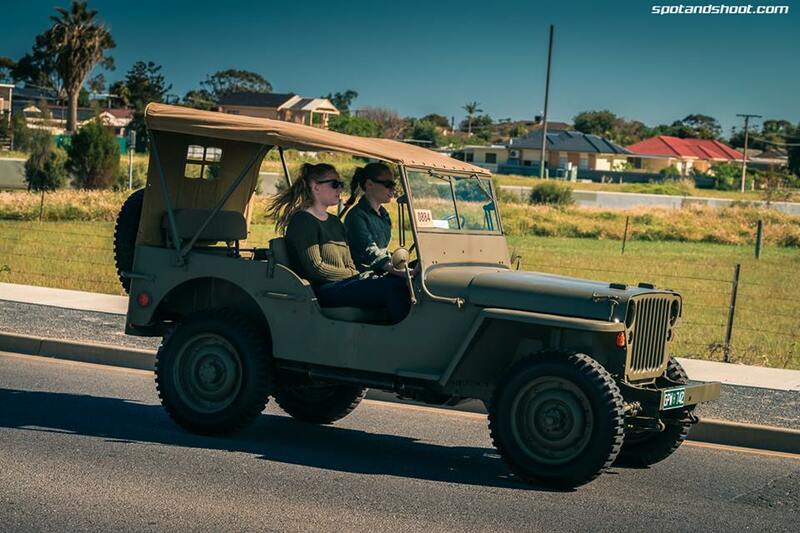 Even at the ripe old age of 72, the script jeep was mixing it with the best of them, showing that age is no limitation, overtaking a number of cars and even one very smoky red truck along Anzac Highway and Greenhill Road. Cruising through the suburban streets, the crowds and even the people participating were smiling, waving and saying hello as the script jeep drove on through to the bottom of Anstey Hill Road, the start of the one-way section and one very steep hill. This was only seen as a challenge; moving into the right hand land, this ultimate off-road vehicle overtook about eight vehicles in one fell swoop, but obviously with too much enthusiasm, as a vapour lock resulted. After recovering from the minor hiccup, the script jeep continued to cruise through the amazing Adelaide Hills, handling the sweeping bends with ease, dodging many broken down cars and even managing to smile for the official photograph. Finally, having left the bay two hours before, the script jeep arrived in Birdwood safely, crossing the official finish line and claiming the all important prize, the 2014 plaque. As the day drew to a close, the script jeep watched as a many cars left and the crowds died down, signalling that it was time to head home as well. With Miss Stuart very ingeniously loaded onto the truck trailer, destined for the museum and in need of some more petrol, the script jeep started his engine, ready for the trip back home, after a rather exciting and tiring day for all involved.